Autumn glows red and amber along the banks of rivers that flow to a heart founded on gold, and shaped by enterprise. 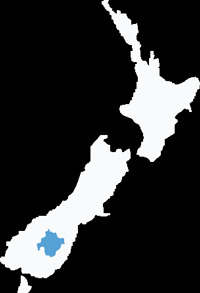 The town of Alexandra is Central Otago's business and political capital. It is situated at the conjunction of two rivers, the Manuherikia and the mighty Clutha. A little further up the Clutha is the historic gold mining township of Clyde and the immense Clyde hydro dam. Enjoy the eateries, parks, artists' studios, craft markets and modern facilities of Alexandra, but remember, its gold mining past is never far from the surface. Wonder at the hardship and innovation of early pioneers in Alexandra Museum's astonishing collections. Tour old gold diggings and dredge sites like the spectacular Earnscleugh tailings, and the town's aged stone buildings. The grand Alexandra Courthouse (1879-1972), is one of the oldest and now operates as a Café. Amble across Shaky Bridge, an early suspension bridge. Magnificent stone piers are all that are left of Alexandra's first bridge. Visit Clyde, a quaint, well preserved town of the gold rush era. Its nearby hydro dam has a capacity of 432 megawatts of power from its four turbines. The Manuherikia Valley rolls gently across green and gold highlands to far away horizons filled with mountains towering blue, and snow-dusted, into never-ending skies. Fluffy white clouds seem within reach above huge rocky outcrops and grazing farm stock while tiny pioneer settlements lay nestled and hidden within the grandeur. Explore the roadways and discover old farm buildings and gold miners’ cottages made from local schist stone. The historic town of Cambrians has well preserved mud-brick buildings, and the former White Horse Hotel at Becks is made of stone and timber. 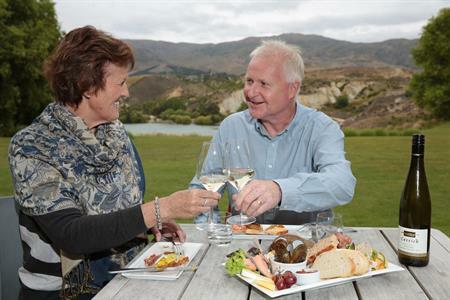 Visit Omakau, Ophir and St Bathans, living townships of the Central Otago gold rush hey days. In St Bathans, both the post office and the reputedly haunted Vulcan Hotel, are still in business. Nearby Blue Lake resulted from the flooding of an enormous pit left by the world’s deepest hydraulic mining lift of gravel. Admire the many historic buildings in Ophir, once the area’s most populous centre. It also has a spectacular suspension bridge with stone piers. Enjoy local hospitality at the pubs and eateries dotted around the Manuherikia Valley, also renown for its arts and handicrafts. 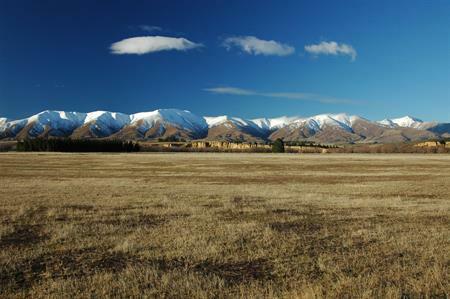 Get active on the Chatto Creek to Lauder section of the Otago Central Rail Trail. Fish in the Manuherikia River or wallow in its many swimming holes.